Russian President Vladimir Putin claims therapeutic use exemptions for banned substances give athletes an unfair advantage. So-called TUEs allow athletes with medical conditions to take medications which would usually be banned. Their use has been under scrutiny since a hacking group known as Fancy Bears released confidential World Anti-Doping Agency documents listing medical information for many athletes. Speaking at a sports forum in Russia, Putin says "we need to understand what to do about (TUEs), otherwise we could soon face all records and victories going only to people who are ill with, let's say, chronic illnesses." Putin says athletes with TUEs could be forced to compete separately or have their performances considered less valid. 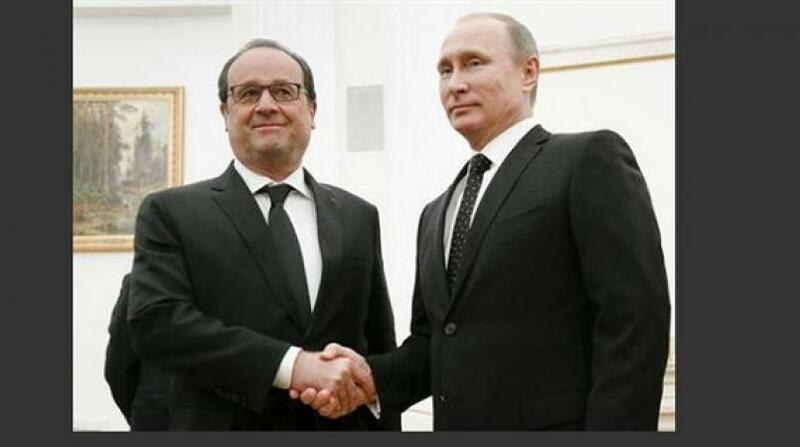 FEATURED IMAGE CAPTION: In this file photo taken on Thursday, November 26, 2015, Russian President Vladimir Putin, right, shakes hand with France's President Francois Hollande during their meeting in Moscow, Russia. Amid a bitter rift over Syria, Putin indefinitely postponed a visit to France after Paris had revised its program and said it would talk about nothing else but the Syrian crisis.